Buffalo plaid - I know what that sounds like to everyone. "Ew, plaid is so last year," "I don't want to look like a lumberjack," et cetera. But there's something different and much trendier about it this season than just the average trucker's attire. 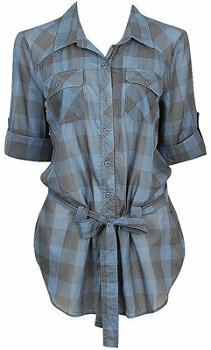 There's just something about a cute, even colorful buffalo plaid shirt matched up with a pair of black skinny jeans that screams, "Hey! Look at me. I'm wearing a hot outfit and you should look at ME!" A popular way to make this amazingly adorable look work for you is to pair it with the aforementioned black or dark wash jeans. 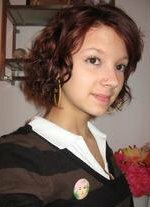 But you can also go funky cute with it and match it up with some bright leggings and clunky, statement-making jewelry. You should definitely do that if it's a darker or 'neutral' colored piece. 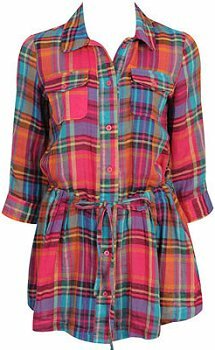 Wearing a super bright colored buffalo plaid shirt, eye-popping neon leggings, and lots of jewelry would be just too much. So, remember to stick to the basics: If you wear one thing bright and crazy, stick to the pure essentials for everything else. Nothing too bold, or it'll transform the outfit into something way too overwhelming. Your eyes wouldn't know where to go first! Top available for $19.80 at www.forever21.com or your local store. Dress available for $26.99 at www.charlotterusse.com or your local store. 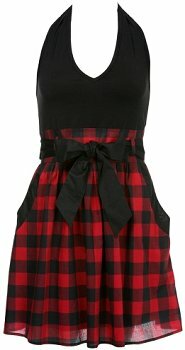 You can even pull off buffalo plaid as a dress, or even a skirt! There are practically endless possibilities for wearing this hot trend this fall. 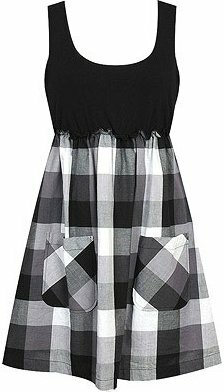 Forever 21, Wet Seal, Wal-Mart, and Kmart each have a great selection of buffalo plaid items under $25. You can never, ever go wrong with something that's cute and on the cheap side! 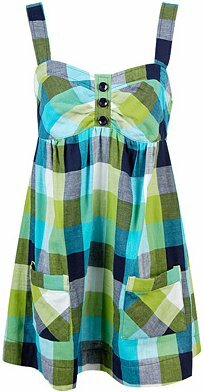 Dresses available for $19.80 each at www.forever21.com or your local store. Skirt available for $12.00 at www.walmart.com or your local store. Shorts available for $11.99-19.50 at www.wetseal.com or your local store. 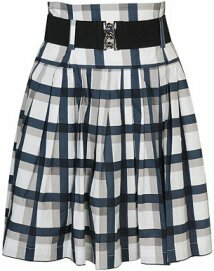 Skirt available for $19.80 at www.forever21.com or your local store. Another super-easy, yet fashionable way to wear it is simply with a t-shirt and jeans. You can maybe spice it up a little with a cool scarf and hat. 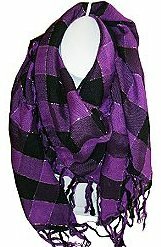 The look with casual jeans and a tee is a great way to wear buffalo plaid when going to the store for a quick milk run. Pants available for $28.99 at www.charlotterusse.com or your local store. Top available for $7.99 at www.kmart.com or your local store. Hat available for $12.50 at www.wetseal.com or your local store. Scarf available for $12.99 at www.kmart.com or your local store. So everyone, I hope you take advantage of this hott new trend and the sweet deals I clued you in on! Just do me proud and look absolutely fabulous sporting that buffalo plaid, and not like a truck driver! Subject: Special Report: Buffalo Plaid!